Enjoy one level living in lovely country atmosphere! 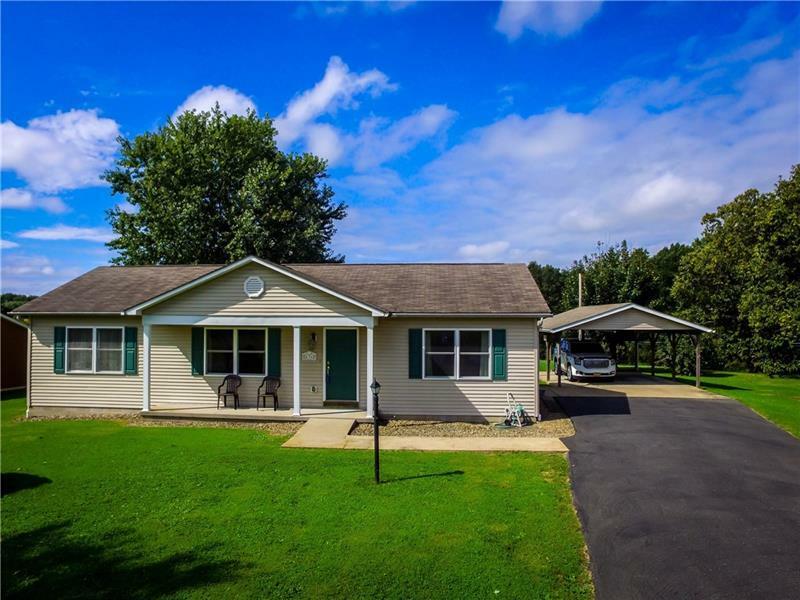 Nestled on nearly an acre this three bedroom two bath ranch style home offers open concept living, a level lot, 200 amp electric service, carport, 12x16 shed for additional storage, full basement, covered front porch, and first floor laundry. Property is equipped with partial home generator. Minutes to Route 422 and I-79.